Just print this page or show the coupon below to yourÂ bartender or host to redeem. 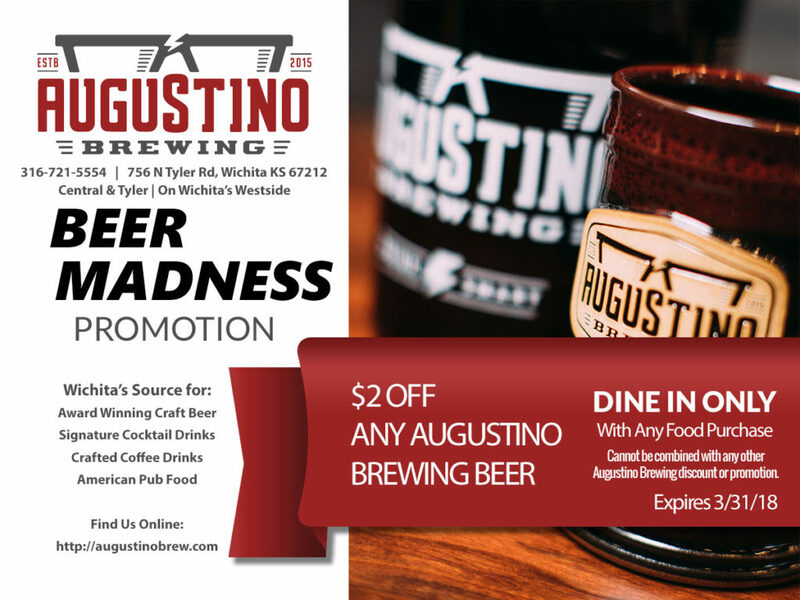 Valid for any Augustino Brewing beers on tap with any additional food purchase from our menu. Check out our current menu, available Signature Cocktails, beer list and more on the Augustino Brewing Co. App. Available for iOS and Android.Â Cheers!